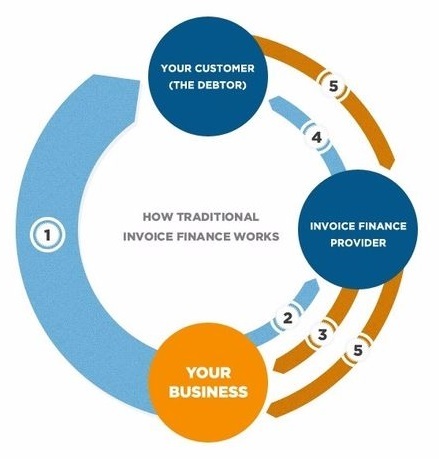 Invoice factoring and invoice discounting both help ambitious companies expand and grow. They refer to the same essential process: an asset-based working capital solution that allows businesses to get advances on cash they are due from customers, rather than waiting for those customers to pay. Businesses can then invest in growth. Invoice discounting and factoring have become a major source of working capital finance since the restriction of bank financing, as a result of the credit crunch. Invoice finance is more attractive to a bank because it depends on the collateral of the invoice due from the debtor. New, post-credit crunch bank capital regulations have resulted in banks transitioning companies away from unsecured loans and overdrafts and on to this mode of lending. Confidential invoice discounting is invoice financing that can be arranged confidentially, so that customers and suppliers are unaware that the business is being advanced capital against sales invoices before payment is received. In the case of invoice discounting, many companies do not assess individual debtors of the business using invoice discounting, but protect themselves against the insolvency of debtors by relying on the business having a wide number of customers, and by demanding that only a certain percentage of a business’s sales ledger can be made up of a single customer. Selective invoice discounting, like spot factoring, is where single receivables are sold to a third party. Factoring facilities are traditionally whole-turnover, whereby, the entire sales ledger of a company must flow through the factor. Whole turnover invoice discounting is different to selective invoice discounting or spot factoring in that every invoice must be sold in a whole turnover facility, irrespective of need.